This year’s NEIGHhem is sure to be our best yet so you won’t wanna miss it. 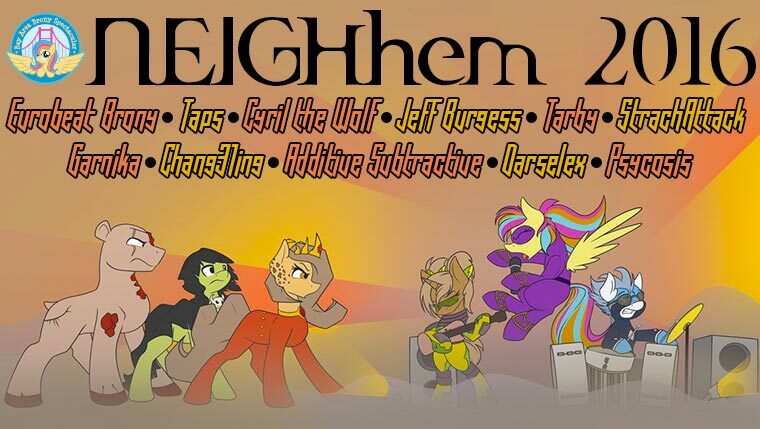 NEIGHhem starts Saturday at 8pm and jams long into the night. But before that madness shakes the dust from the ceiling, it’s time to dress up and get refined in our Friday night cosplay dance, The BABSquerade. No need for fancy moves, the music is here for you to just sway to if you want. Dress up as your favorite pony, griffon, changeling or other character at this masquerade party. But if cosplay isn’t your strong suit, then suit up or lace up that ball gown and don a mask and get your groove on. The BABSquerade starts at 8pm on Friday and lasts until someone turns into Pumpkin Cake. 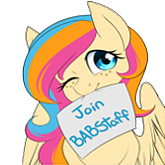 But there’s only one way to enjoy NEIGHhem and the BABSquerade: you have to register now!